While our standard tours are currently focussed in Auckland and Wellington, we also run special tours to various regions around New Zealand (set date departures). We can also create multi-day privately guided itineraries to suit those seeking something beyond the ordinary. The most northern part of the country, Northland enjoys some of New Zealand’s best year-round weather, with higher average temperatures and lower rainfall than other regions. Best known for its spectacular beaches, ancient Kauri forests and Cape Reinga (the most northern tip of the country; the place where the spirits depart), this lesser visited region has a remoteness and peacefulness you won’t experience elsewhere. 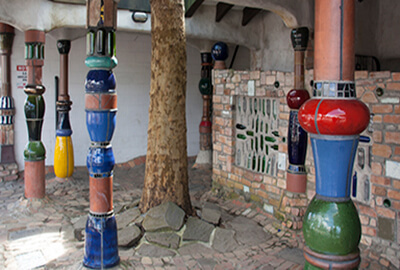 Perhaps it is these qualities that have drawn so many creative people over the years to Northland, including well-known Austrian artist, Hundertwasser, who called it home for over three decades, and is now buried here. A visit to this property is an absolute must do for any arts lover, and anyone interested in his absolute dedication to a sustainable way of living. Other activities in the area include visits to sustainable farms, gourmet food producers, boutique wineries (including New Zealand’s oldest winery started in the 1820’s) and a twilight tour of Waipoua Kauri Forest with a local Maori guide (home to Tane Mahuta, the grandfather of the forest). World-class luxury lodges and quaint Bed & Breakfast accommodation are another highlight for visitors. Auckland is the beginning and end point for most international visitors travelling in New Zealand and the country’s largest and most economically powerful city. After Los Angeles, Auckland is the world’s most geographically spread city and now ranks 7th in the ‘world’s most liveable cities’ index. Like all global cities, it’s multi-cultural, which has resulted in a rich, diverse food and entertainment scene, and New Zealand’s most active and productive arts communities. The city is set against a scenic backdrop of magnificent green and blue spaces – lush native forests surround the perimeter of the outer city to the north, south and west; the Hauraki Gulf off the coastline from downtown Auckland provides some of the best game fishing and marine wildlife in the southern hemisphere, whilst the turbulent Tasman Sea stretches north west to Australia, creating some of the finest surf beaches in New Zealand (Piha and Karekare). Auckland has a huge number of world-class arts & culture experiences on offer, including two of the worlds finest sculpture parks, New Zealand’s original wine region, a thriving film production industry and performing arts scene, a vast array of gourmet artisan food producers and the best private garden and public art gallery in the country. Take a look at our full day and half day tours for a glimpse of the sorts of experiences we provide. With such a variety of experiences on offer, many international visitors wish they had spent more time in Auckland, rather than the typical 1-2 days that most people plan. No visit to New Zealand would be complete for arts lovers without a visit to Wellington, the country’s self-declared arts capital. While Auckland actually holds the real title, there are still a lot of wonderful arts & culture experiences on offer here. Wellington is the nation’s political capital and is strategically located in the centre of the country at the base of the North Island. The Wairarapa is just a short drive from the central city and home to some of the country’s finest Chardonnay producers. This region of New Zealand is also known for its wild weather and rugged coastlines, which has resulted in a part of the country that does the ‘indoors’ really well. Funky cafes, hipster bars and nightclubs are dotted everywhere through the central city and the restaurants of Martinborough are a wonderful place to both cozy up in winter and relax and enjoy the sunshine in summer. Art galleries and art studios are a must do when visiting Wellington, and we can help facilitate some unforgettable, exclusive experiences during your visit. Our gourmet tasting tour of the central city will also introduce you to some of the region’s finest boutique food and beverage producers, including a heavenly chocolate factory with a rapidly growing international fan base. The coastline between Raglan and Taranaki is affectionately known as ‘the surfer’s highway’ which should give you a rough idea of the sort of scenery you can expect to see. But don’t expect an Australian Surfers Paradise; this is raw New Zealand at its very finest. The beaches are wild, the surf is epic and you won’t see too many people sunbathing here due to the chilly ocean temperature. There is something inspirational about this coastline that makes you feel truly alive. Many artists have found their home here; the most famous of all being Len Lye. 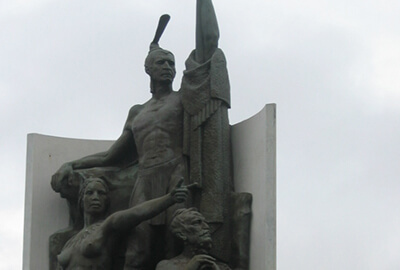 Lye was a New Zealand artist who lived in Europe and the US for much of his life, but came back to Taranaki to dedicate his life’s work here. Lye was one of the pioneers of animated film and large scale kinetic sculpture; he was fascinated by movement and sound. His friends including Henry Moore, Robert Graves and Dylan Thomas. He is arguably New Zealand’s most internationally recognised creative. 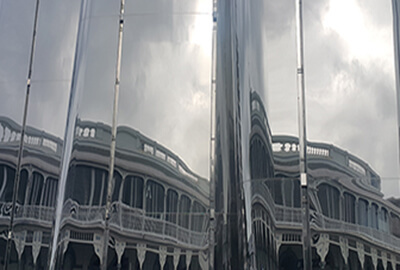 The Len Lye centre (aided by the foundation he established prior to his death to perpetuate and develop his ground breaking kinetic work) is located in New Plymouth and is a destination for all art lovers. Other reasons to visit New Plymouth include the fully restored Victorian town centre featuring several outstanding restaurants and craft stores, as well as a wonderful coastal walkway and cycletrail. Once known as the ‘fruit bowl of New Zealand’, the Hawkes Bay is now more widely known as one of our preeminent food and wine regions, as well as the Art Deco capital of the world. Back in 1931, the region experienced a devastating earthquake that virtually flattened the entire Napier city centre. The decision was made to demolish what little remained, and to re-build the city in the most popular architectural style of the day, Art Deco. Today, the city is a beautifully renovated testament to one of the quirkiest architectural styles of the 20th Century. Meanwhile, on the other side of town; the pioneers of the New Zealand winemaking industry, including Tom McDonald who started his career in West Auckland (the country’s first wine region), were beginning to move in to the region, playfully planting vines and experimenting with techniques and varietals. The main criteria back then for selecting a grape growing site was to use visual clues about the landscape to determine its suitability for growing. Local farmers long committed to fruit crops such as nectarines and peaches, considered these early pioneers as a ‘bit mad’ and continued on, business as usual. Over the next few years, Tom and his contemporaries discovered the now infamous Gimblett Gravels and the areas ability to produce outstanding Syrah (more widely known as Shiraz in Australia and other countries) and Cabernet Sauvignon. During the late 1980’s and 1990’s, a complete revolution of horticulture occurred in the region, with traditional crop growers converting vast acreages to grape growing. 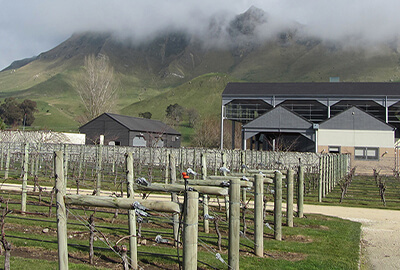 The Hawkes Bay now has an international reputation for producing award winning new world wines (Syrah included) and top quality artisan food exports. Other reasons to visit include a world-class golf course and luxury lodge, migratory gannet colony and some of the most pleasant and (if you include the food & wine you can enjoy en-route) most rewarding cycle trails in New Zealand. 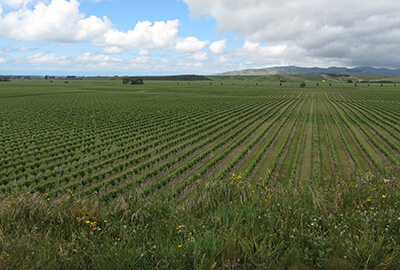 Nelson and Marlborough claims the title of sunniest region in New Zealand, which may account for the horticultural success of the area, producing what many experts say is the finest sauvignon blanc in the world. Brancott Estate (formerly known as Montana Wines) tells the wine story of the region and is also one of the best winery restaurants in New Zealand, with sweeping views across the single largest grape plantation in the country. 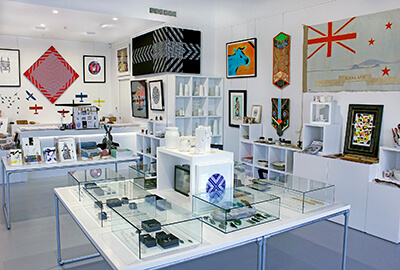 It’s also well known as an arts and crafts centre, with many artisans producing top quality glass, ceramics and textiles from private studios dotted throughout the region. The World of Wearable Art show (or WOW as it is more commonly known) may have moved to Wellington, but the museum remains as a reminder that this is where it all began back in 1987 when a local sculptor, Suzie Moncrieff created the event to help support a rural art gallery. The WOW museum also features an outstanding classic car collection and is considered a must do while visiting the region. Christchurch changed forever in 2011 when a massive earthquake struck the city, killing 185 people, destroying much of the inner city and eastern suburbs. Today, parts of the city are still being rebuilt, but significant progress has been made with new retailers, restaurants and bars opening every week, and several new hotels now open for business. Street art became a popular feature of the central city area with well-known New Zealand graffiti artists commissioned by Council and developers to help beautify the areas where slow progress was being made in the rebuild. As the pace of development has sped up in the past 2-3 years, locals and visitors comment how sad it is to see these temporary artworks disappear as the new buildings rise up. But several large scale murals still remain. The Christchurch Art Gallery and nearby Arts Centre are both wonderful places to visit, especially on weekends when special events and markets are held. A short drive from the city, Akaroa and Banks Peninsula remain visitor favourites to the region, but best avoided when cruise ships are in port. 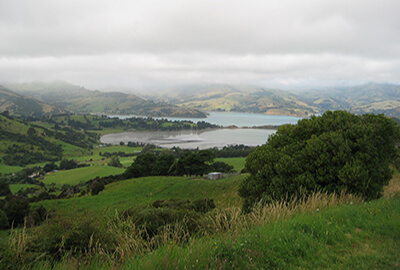 Akaroa is a small, quaint seaside town, settled by the French in 1838. Much French influence can still be seen in the town. Other popular activities in the Christchurch and Canterbury regions are whale watching, hiking, mountain biking and winery visits. Arguably the most famous region in New Zealand due to its breathtaking scenery, Central Otago offers visitors a huge array of activities to enjoy, mostly focussed on the great outdoors (such as skiing, hiking and glacier walks) and adrenaline sports (such as bungy jumping). There aren’t a lot of art experiences on offer in this area, but the food and wine offering is world-class. This wine region is known globally as the Pinot Noir capital of the world. 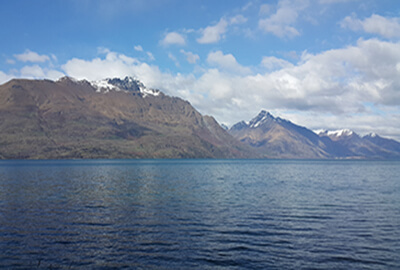 A word of warning – first time visitors to New Zealand generally all head to Queenstown and it has become a very busy place. If you are seeking tranquillity, this definitely is not the place to visit. We’d suggest Wanaka and the surrounding area as an alternative if you’d prefer to get away from the crowds.